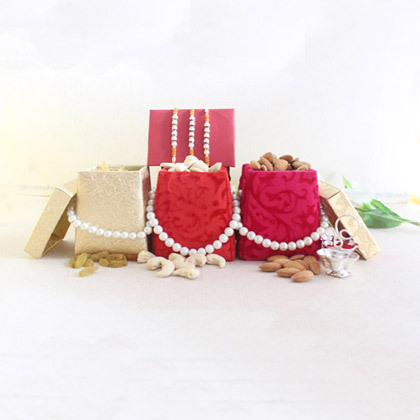 OMG…This looks really wonderful!! 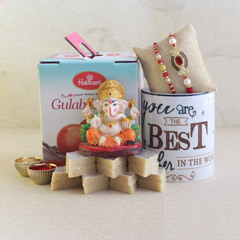 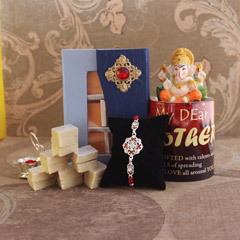 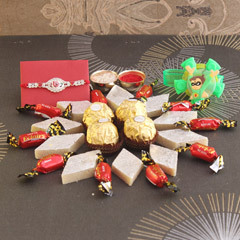 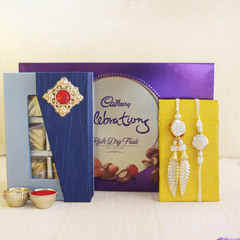 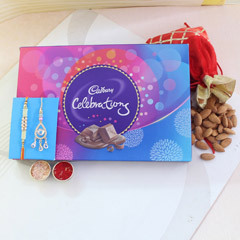 Raksha Bandhan is all about strengthening the bond between brothers and sisters. 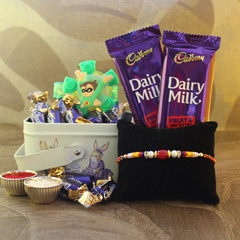 So, on this auspicious occasion, choose this big fat hamper for impressing your brother. 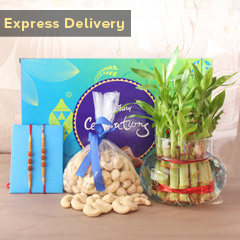 It’s inclusive of dry fruits, three Rakhis, and much more. 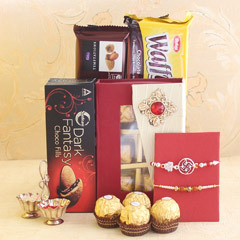 Your brother will definitely be delighted after receiving this hamper.